Tony offically has his puppy. 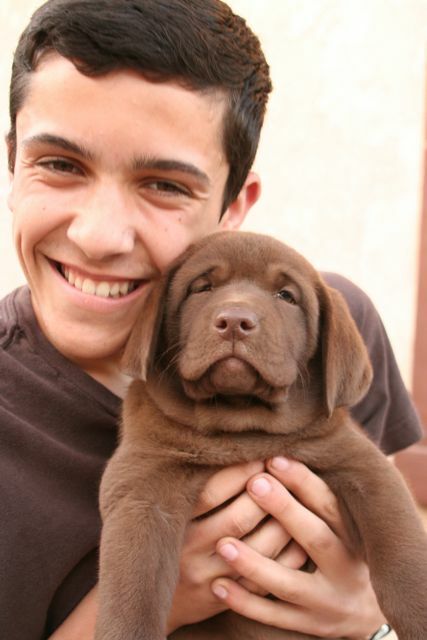 Joe asked Santa for one when he was in kinder….Nick asked for one in third grade, and now Tony in 9th grade has a two month old puppy….3 boys, 3dogs, 1 crazed mother, o husband!! !